Is the EAS652RUL 52nd Street the Jazz Sax of the Century? 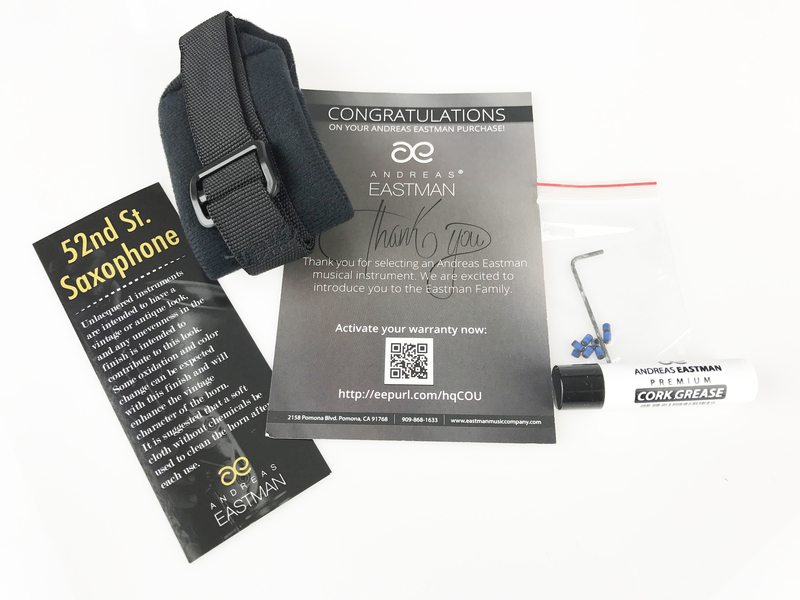 The Eastman EAS652RUL Alto Saxophone was modeled after the sound of the far more expensive and prestigious vintage saxophones. 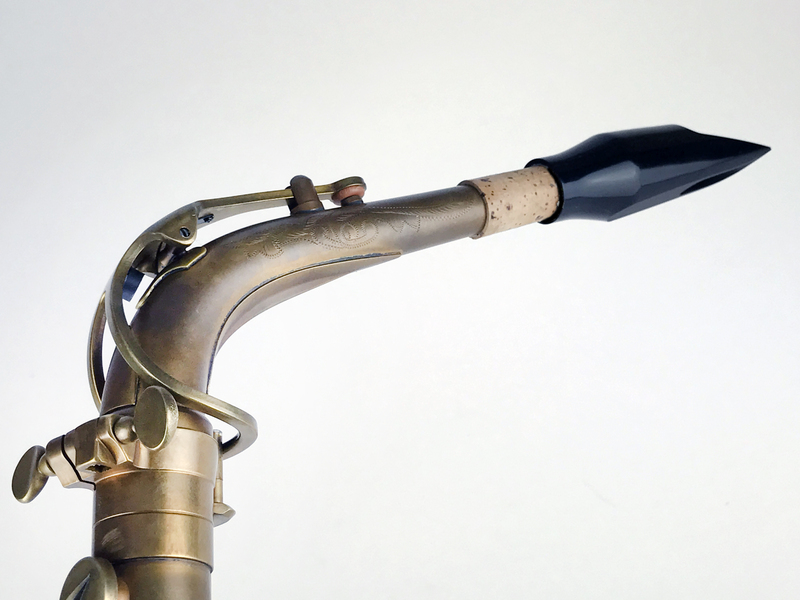 Unlike the vintage counterparts, the Eastman 52nd Street alto sax has impeccable intonation. The horn is incredibly responsive in each register and is capable of delivering a huge sound! 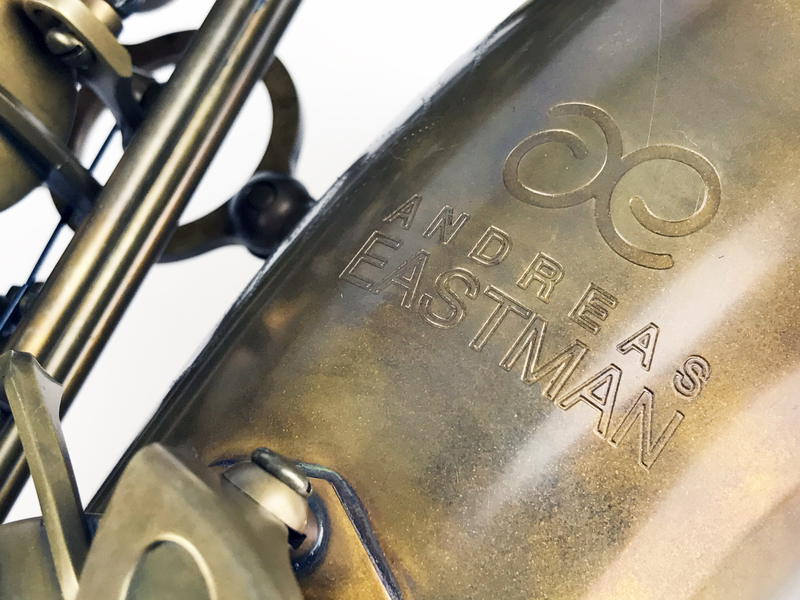 With features such as a high f# key, adjustable palm key heights, Italian leather pads, and metal resonators the Eastman 52nd Street is the alto sax for the working saxophonist. The horn has stunning hand engraving of a 52nd Street scene and includes a well made backpack style case. The un-lacquered brass is aged and like vintage horns will change overtime as exposed to air creating beautifully unique looks. The blued steel springs offer an excellent key feel and the overall feel is one of old-school quality. There is a really nice weight to the horn that makes it feel solid. 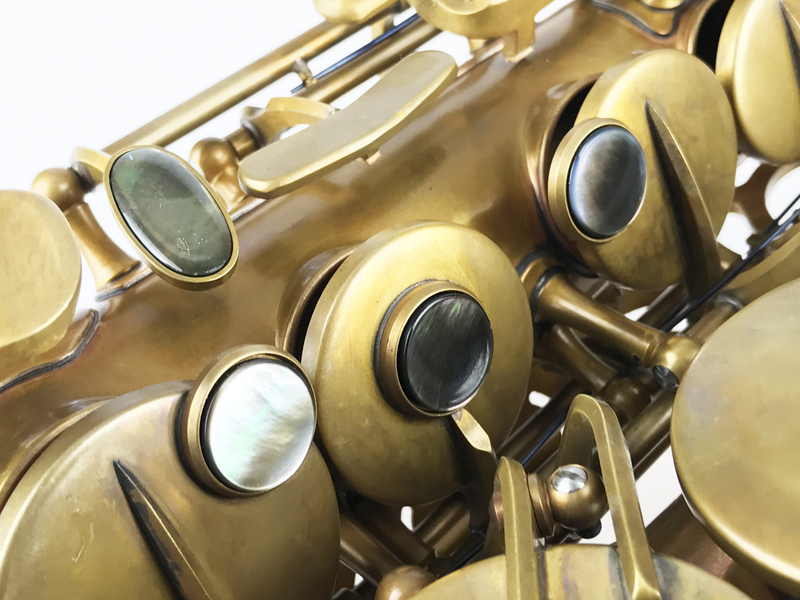 It’s no wonder this has become one of the most popular professional saxophones at Hyson Music! 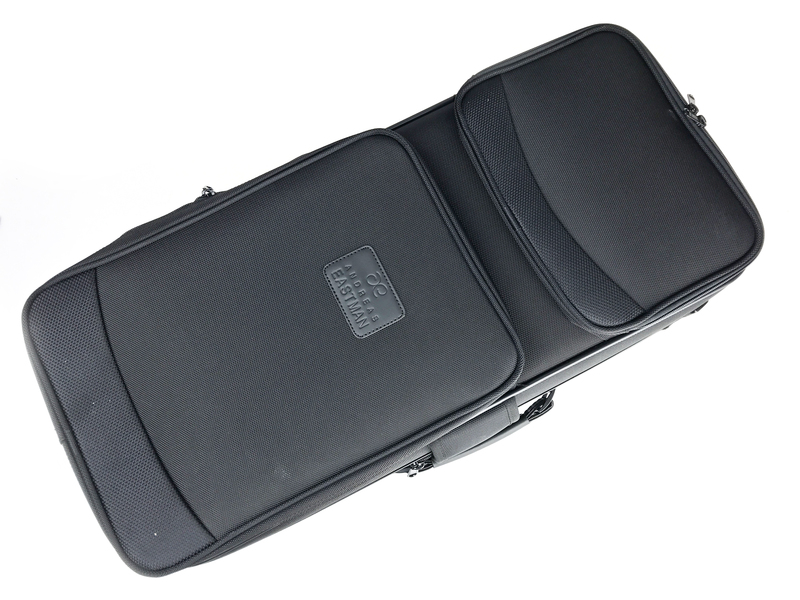 The Eastman 52nd Street alto (EAS652RUL) is covered with a limited 5-year warranty.